In 1966 Herbert Armstrong learned just how widespread the influence of The Plain Truth was becoming in the popular religious culture of the 1960s. The 1960s, the radicalized, religion-challenging “God-is-dead” decade, saw the emergence of a trend that would continue into the new 21st century. The first blockbuster best-seller of the 21st century was Dan Brown’s The Da Vinci Code. 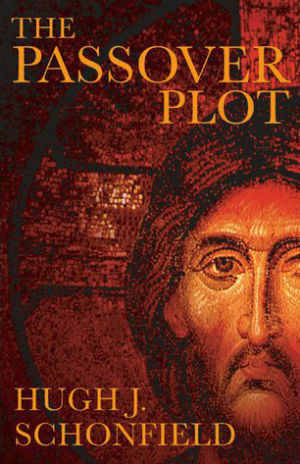 This explosive novel was a religious-type thriller built around the postulate of a love relationship between Mary Magdalene and Jesus Christ. Though most didn’t seem to notice in all the excitement, Brown was following trails blazed by the noted director Martin Scorsese’s 1988 movie The Last Temptation of Christ. Scorsese’s cinematic exploration of the man from Nazareth was based in turn on a serious novel by Nikos Kazantzakis. In this retelling, Jesus is tempted on the cross to escape the pervasive suffering and run off with Mary Magdalene. The movie version of The Last Temptation recalled for many Norman Jewison’s controversial 1974 movie, Jesus Christ Superstar, a remake of a 1971 Broadway rock opera by Tim Rice and Andrew Lloyd Webber.14 Before all those pop culture excursions, however, came a controversial best selling 1965 book by British biblical scholar Hugh J. Schonfield titled The Passover Plot. That did it. Hugh Schonfield fired off a nasty letter to The Plain Truth.17 Herbert Armstrong was forced to address the issue in the April, 1966 Plain Truth. The careful and effective apology, however, revealed a side of HWA that few except close friends and very careful readers got to see – a confident, measured tone; a calm and reasonable demeanor, a refusal to be rattled. It was not a new role for HWA and yet, he could glow all over people when he wanted to turn on the charm. Yet, coming the same year as Time magazine’s notorious “Is God Dead?” cover, it revealed just how Christ-focused and Christ-involved Herbert Armstrong was at rock bottom. HWA placed the apology in his “Personal,” the page three slot in the magazine where he often took a more philosophical, almost detached and often insightful view of the goings on in the world. HWA’s skilful and dignified framing of this issue that could have been a legal embarrassment, elevating the incident into the larger context of sin and forgiveness – these tactics were by now second nature to a public figure who had lived by his wits and his typewriter for 54 years. By taking the high road in this argument, HWA was deftly refuting Dr. Schonfield’s thesis on one level and yet doing it in such tones and terms as to turn the debate into a chance to preach. This is masterful journalism. The mistake, as HWA framed it, was one of omission not commission. He had not checked and rechecked two or three sentences that appeared in the PT copy before it reached the Composing Room stage. Neither the Executive Editor (Herman Hoeh) nor those below him caught it as well. Your potential is to enter into the very divine Family of God – to be born as a very son of God. But you have human nature, which is self-centered in vanity, selfishness and greed…You have rebelled against God and His Law. You have sinned and brought the penalty of eternal death. But Jesus of Nazareth gave His very life for you – paying the penalty for you in your stead. If you really repent – confess your sins, admit your mistakes and your sins, the living Jesus will forgive, and put within you his vital, dynamic, eternal life-imparting Holy Spirit, making you a [converted] child of God. The “Passover Plot” controversy soon subsided. HWA appeared at his journalistic best – serenely dignified, calm, measured, effective and, above all, uncompromisingly Christ-centered. The wider significance for the soon-to-be one million circulation PT was that here was a religious publication the same year as the “Is God Dead?” controversy sticking up for the essentials of the Christian faith. It was a message many readers could accept. HWA showed his editorial team, showed all who were learning the “Plain Truth style” how to effectively turn adversity to advantage, how to compose as well as carry a “message to Garcia.” The very necessity to answer the charges showed what a wide reach The Plain Truth was having by 1966. The Armstrong media offensive was getting harder to ignore. The Passover Plot controversy showed just how huge a part of the popular religious culture they had become. 14 Bernard Brandon Scott, Hollywood Dreams and Biblical Stories (Minneapolis: Fortress press, 1994). 15 Hugh Schonfield, The Passover Plot. 16 Alister McGrath, Christian Theology: An Introduction (Cambridge: Blackwell Publishers Inc., 1997), pages 366-367. 17 Ralph Helge, personal interview, June 11, 2006. Ralph Helge headed up the WCG’s Legal Office for much of this period. 18 Herbert Armstrong, ”Personal,” The Plain Truth (April, 1966), pages 1-2, 7-8.